Prince Harry back with Chelsy? 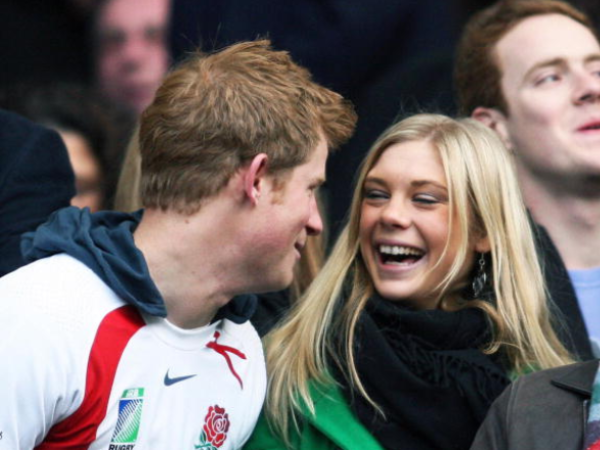 Britain's Prince Harry and Chelsy Davy are apparently back on. The young royal romanced Chelsy on and off between 2004 to 2010, before moving on to his next longtime partner Cressida Bonas. However since they split last year, it's been rumoured Harry and Chelsy have got close once again. And after the 30-year-old declared last week that it would be great to have a significant other, it seems Chelsy is keen to give things another go. "Chelsy has always been the one for Harry. They might have been apart for a while, but they're a natural match and they've enjoyed seeing each other again. They're back on and seeing what happens," a source told British magazine Grazia. "The ball is very much in Chelsy's court. She knows what life with him entails, but they've been through so much together. Announcing that he is ready to settle down publicly is his way of showing her he's serious." The source says they've already planned a string of dates together, including spending time together in South Africa, where Chelsy's father Charles hails from. There may even be some official royal engagements in the pipeline too. "Chelsy will be in South Africa during the summer and Harry has agreed to visit. They're planning a safari, as well a scheduling in some time to spend with Chelsy's parents. It's a special place for both of them," the insider said. "She's agreed to attend several events with Harry later in the year, although whether they will arrive and leave together remains to be seen."